3122 Mangifera indica - East Indian Mango, Grafted ? A traditional juice mango selected in Jamaica but not well known away from the Island. Common in markets in Jamaica and other parts of Caribbean. 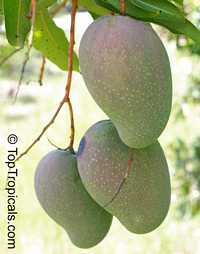 The fruit is oblong, with a smooth greenish to bright yellow skin, red blush on the shoulders, overlaid with large white dots and a heavy wax coating. 12-20 oz. The deep orange flesh is firm and juicy, with some fiber. Flavor is rich, aromatic, spicy, with distinctive tropical and coconut flavor notes. Very good for fresh juices. 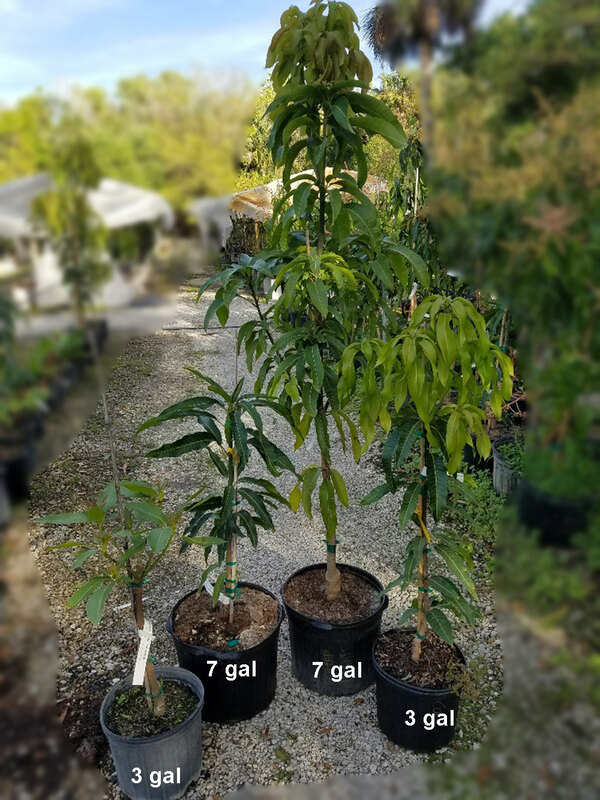 4512 Mangifera indica - East Indian Mango, Large size, Grafted ?